The Yellow Fairy Book, ISBN: 9781843915409 - available from Nationwide Book Distributors Ltd NZ. 'A cat had made acquaintance with a mouse, and had spoken so much of the great love and friendship she felt for her, that at last the Mouse consented to live in the same house with her, and to go shares in the housekeeping. 'But we must provide for the winter or else we shall suffer hunger,' said the Cat. 'You, little Mouse, cannot venture everywhere in case you run at last into a trap.' Hesperus is proud to present the fourth book in its beautiful children's 'Fairy Book' series. 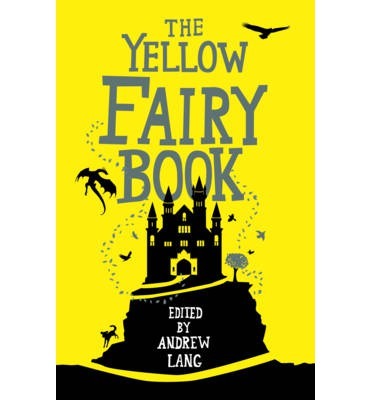 Following on from the Blue and Red books, The Yellow Fairy Book makes another stunning addition to the set as it publishes here alongside The Green Fairy Book. First published in 1894, this extensive fairy tale anthology was edited by Andrew Lang, a pioneering author and critic. By bringing together folk tales from all over the world and having them translated into English, many for the first time, he was able to create rich and varied collections of stories, opening readers' eyes to a whole world of magical possibility overseas. Adults and children alike will enjoy the old favourites in this collection such as The Emperor's New Clothes along with the unsung gems such as The Snow-Daughter and The Fire-Son and In the Land of Souls. The stories come from as far afield as Iceland and Greece and from such differing sources as Native American oral tradition and the Brothers Grimm. Accompanied throughout by the original illustrations and with a stunning cover design, The Yellow Fairy Book is certainly a book to treasure.